#-ad_banner-#Learning how to catch the temporary discounts while avoiding the stocks with farther to fall comes down to finding the companies with the financial flexibility and strength to survive. 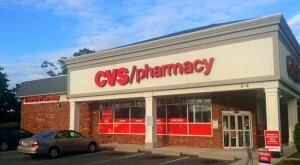 CVS Health Corp (NYSE:CVS) has seen its shares gradually melt 45% lower since July 2015 on weakness in pharmaceutical pricing and fears around competition. Even if Amazon is able to carve out a share with its acquisition of PillPack, the market is underestimating the healthcare market advantage controlled by nation’s largest drug retailer. Cardinal Health (NYSE:CAH) is also down nearly 45% since a 2015 peak though shares have battled back several times to buck the downtrend. Shares suffer from the same weak sentiment in the pharmaceuticals, but Cardinal enjoys an oligopoly position among the three largest drug distributors that control 90% of the market. Lennar Corp (NYSE:LEN) has only started falling this year but is off its January peak by nearly a third as investors brace for higher interest rates and input prices to hit homebuilders. Despite macro-headwinds, the company was able to post a solid second quarter that seemed to go unnoticed by investors. Editor’s Note: If you’re ready to start bagging triple-digit winners like it’s no big deal, then you have to see this… Last year’s picks are beating the S&P 500 3-to-1, and we ‘ve recommended dozens of multi-baggers to our readers over the years. THE LIST is jam packed timely picks including: Our #1 Biotech Stock, Takeover Stock, Pharmaceutical Stock, and many others. Click here to see them now. 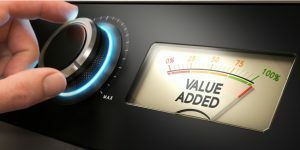 Article printed from InvestorPlace Media, https://investorplace.com/2018/08/3-value-plays-wont-cut-investors-ggsyn/.